The FREE version: will give you short daily horoscopes for all 12 signs a day, plus Susan’s highly popular detailed monthly horoscope for 12 signs. If you are reading the monthly Astrology Zone horoscopes on your cell phone browser, you will find using the app to be easier to navigate. 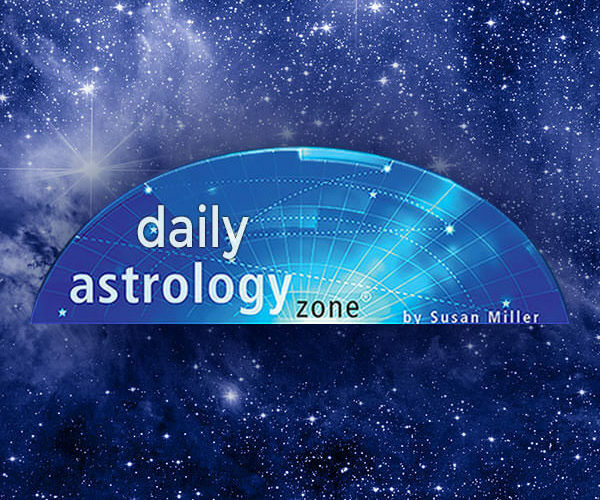 Astrology Zone’s short daily horoscopes give you yesterday, today, and tomorrow’s predictions. You can read Susan’s current month or last month’s monthly horoscope. The Premium Subscription Version: Once you have the free edition of the Astrology Zone app, you can decide if you’d like to upgrade to the PREMIUM paid subscriber edition, which will give you substantially more comprehensive daily horoscopes that most readers prefer, along with Susan’s exciting monthly horoscopes for all 12 signs. On the Premium version, the daily horoscope for Sundays offers a look at the week ahead so you can plan your week productively. Again, the Premium version gives you today, yesterday, and tomorrow’s daily horoscope as well as last month’s monthly forecast. The premium version of the app also features a large number of Susan’s essays on a wide variety of topics, including the meaning of Mercury retrograde, why you need to note the year’s eclipses, plus compatibility reports, & more. If you wondered whether there is a 13th sign after reading news reports, read Susan’s essay on the topic, where she gives evidence to show why you must continue to read for your traditional birth sign. Under key dates on your Premium app, you can locate your best days to stage an initiation. Check out the Learn Astrology section, about the planets, the elements, and the qualities, and a description of your most loveable characteristics. There is also an area that will tell you about Susan’s various appearances. To download this award-winning app on iOS or Android.